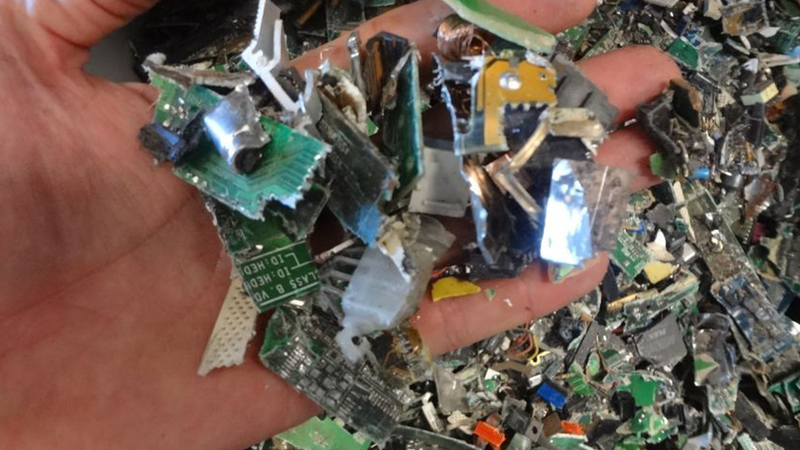 Shredder for electronic waste, wood, metal, paper, plastic, tires, municipal solid waste, medical waste and mischaracterization of materials. 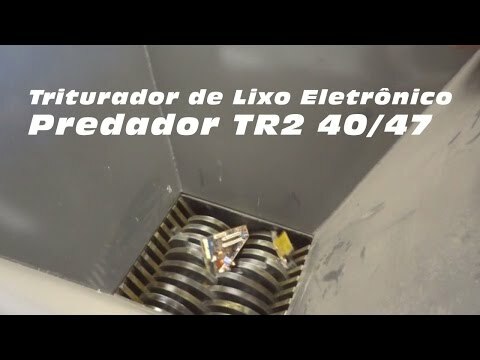 The TR2 40/47 shredder are designed for shredding abrasive and aggressive material especially the contains lots of sands. The rotor blades are easy to remove from the side opposite to the drive without talking out the shaft. 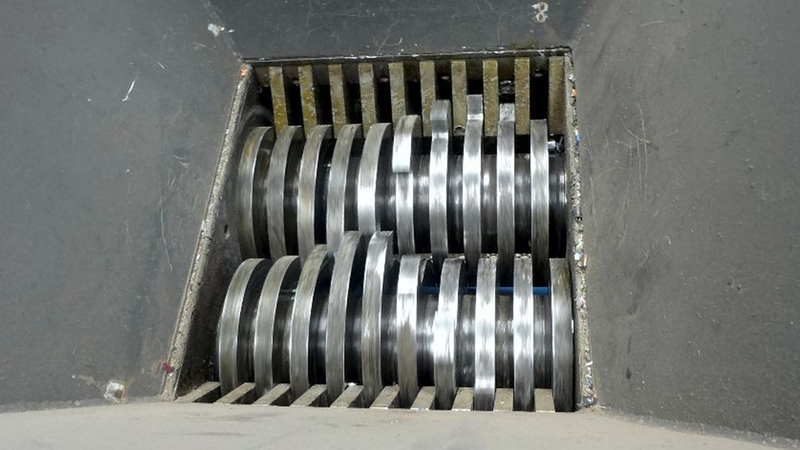 The blade lock system is able to tighten the blades after long period of shredding when the blades are worn. The cutting action and result depends on the blade thickness and number of hooks. The blades thickness controls the width of the fraction and the number of hooks controls the length. The above two factors determine the cutting torque as well, so a proper selection of the blade type is very important for shredding different types of material. To better control the desired size, a round screen around the cutting chamber is a perfect solution. The rotary screen runs at low speed and the oversized fractions are taken back to the cutting chamber for another pass of shredding. Number of Knives: 20 und.